How to Lose Belly Fat Post Childbirth? You’re done with your blissful and exhaustive phase of carrying your baby and delivering your little one. Now, you feel blessed to hold your baby in your arms. True, pregnancy changes a woman in many ways- as a new parent, you may have undergone a huge change both physically and mentally. Post pregnancy, you may be even more concerned about your body than you were during pregnancy. Its natural- you may want to shed off those extra kilos you’ve piled up and may want to get back your pre-pregnancy shape. We understand your needs and have compiled cool tips to help you get back in shape post childbirth. Caution before Starting: As the body needs time to recover from the labor and birth which is usually six to eight weeks; you must consult your general practitioner (GP) before attempting to lose weight. It is important for you to be guided of the various changes that have occurred in your body during pregnancy and how to restore your body back to normal, in a healthy way. Starting too soon will actually delay the recovery process and will make you feel tired too. Exercise after pregnancy to reduce stomach should be your prime concern. Also, keep in mind that it is very much important to have a word with your doctor about the following points before trying out any exercises. You have experienced any complications (or a C-section) while having your baby. You are experiencing back or pelvic pain. This is probably one of the first questions that pop-ups to the new mother after all the excitement around has calmed down and necessarily, it has to be done, and in a proper way. 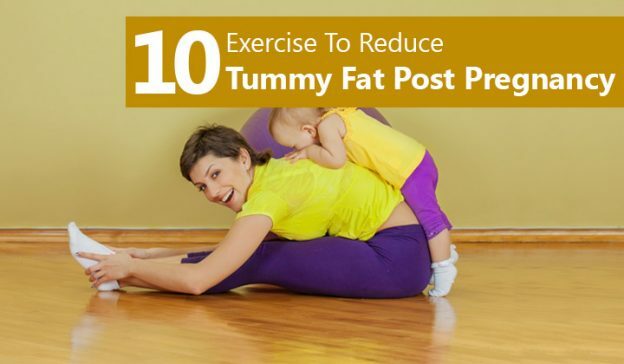 With the following ten exercise tips, you will learn how to lose the extra pounds you may have gained during your pregnancy period and be fit like before (It may be tough to take out time when you have a baby now, but not impossible). Now that as a new mother you may have to focus on both yourself and your baby, eating smaller frequent meals is advised. Healthy proportions of fruits and vegetables, along with the diet are strongly recommended as breastfeeding has started. This will help you to lose fat instead of lean tissue. After six weeks of rest, post-delivery, you are ready for a gentle start up like walking. In the beginning, try to manage at least 15 minutes of walk, 5 times a week. You can also enjoy walking by taking your little one in a pram or push chair with you, if the weather is pleasant. After few days of your start up you can move on to basic stretching exercises which are quite necessary for all your muscles. For your torso or upper body, you can try some twisting exercises as well. Do not push it too much- keep it light; you must feel active and energetic after these exercises. Pelvic floor exercises are quite versatile- your doc may have advised you to practice these during and after your pregnancy. You must complete ten numbers of squeezes reps that have to be taken three times a day. This ought to maintain your pelvic floor in a perfect shape as you wanted it to be. These tummy exercises after pregnancy will help you get back in shape. Get down onto your knees and let your elbows rest on the floor- you can do this on your bed but the floor is much advisable. Make sure that your back has to be straight and that your tummy muscles are completely relaxed and free of stress. All you have to do is start to inhale your breath and while you exhale your breath, you must constrict your pelvic floor muscles. Now pull your belly button inside and upwards. Deep breathing is a must during this exercise. The best way to get through your aim is by going for short walks everyday for a minimum of half an hour. The best part about this exercise is that you already have started to feel a little lighter on your knees and the weight seems to be shunning down slowly and gradually. These exercises help to tone your tummy, bottom and thigh muscles. Lie on your back on the floor (advisable) or on your bed if you wish to. Bend down your knees while you slide your feet upwards, taking it to your bottom area. Now, take a deep breath, and as you exhale, you must tighten your pelvic floor along with your belly button. Lift your bottom in the air as high as you can. You have to keep breathing very normally. Also, while you hold onto this position for around five seconds slower down and breathe at a normal rate. Now slowly and gradually lower down your bottom back towards the floor. Repeat this exercise for up to 10 times. Hip exercises are another way to lose weight around your buttocks. Lay down at your right side along with both of your knees that must be bent inclining towards your bust. Now breathe in while you breathe out. Do not forget to tighten your pelvic floor along with your lower muscles of the stomach. Now hold your heels together diagonally and lift your left side of the knee upwards to the side of the ceiling / fan. Please remember that your hips do not have to roll on the backward side. You may feel that you can hardly lift your knee before you want to roll your hips back. Do not get excited to be lifting your knee higher than what you can. This would cause stress on your body. Now hold on for minimum up to 5 seconds and then later you can lower down your body. Take out minimum 10 reps.
Now you must change the sides so that you are easily able to lie down on your left side and continue with the exercise. Start with the gentle sit ups at the starting stage. This particular exercise helps you to reduce and cut down your weight on your lower tummy area affecting the muscles very well. Or you can place your hands, crossed over one another, on side of your tummy area and slowly do your sit ups. This position will help you hold your abdominal muscles as you lift your head. Yoga is the best exercise to reduce tummy after pregnancy. Involve yourself into daily, early morning yoga routine which is a complete package of exercises and breathing techniques for your mind and soul. You can either start practicing yoga at home or join some class which will keep you glued to it. Pilates is one such exercise that trains your body to be stronger, more flexible and undoubtedly balanced. Pilates involves a perfect series of the movements as well as the positions that will be helpful in order to improve your body strength along with the coordination. Make it a point to breathe deep and relax while you take up this workout. This is an important workout that helps you gain control on how you perform your exercises. Moreover, you can also think about joining a regular class nearby your place or a one suitable for you. To lose weight as well as tone your muscles, exercise so that you get out of breath and speed up your heart beat. Swimming should only be opted after at least six to seven weeks of the birth to avoid any infections. Exercise tends to bore many new mommies as it demands repetitiveness and some mummas don’t find proper time for exercise for their busy schedule. It’s up to you how you want it. It’s very important that you must feel up to do it. We hope our exhaustive list of post-pregnancy exercises have made you realize the importance of exercise after pregnancy to reduce stomach. Follow them and bring back your pre-shape. 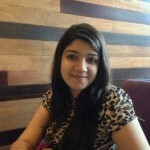 Post Pregnancy Diet – What To Eat And Avoid?